Leading Carpet Cleaning proudly serves residential homes and commercial businesses throughout Orange County, California and surrounding areas. We are fully licensed and insured to offer a wide variety of services as Leading Carpet Cleaning technicians uphold a high moral standard, family-friendly customer service, and superior execution in all we do. 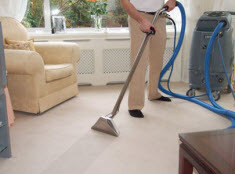 With the aid of exclusive top-grade equipment and products, offered to licensed professionals, Leading Carpet Cleaning skills and expertise are amplified to ensure our valued customers get nothing but the best. 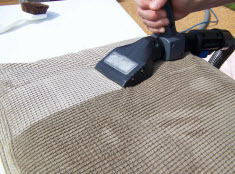 Included on Leading Carpet Cleaning service menu board is mattress cleaning. 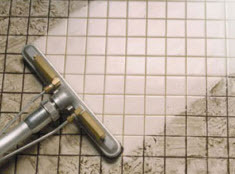 Mattress cleaning by Leading Carpet Cleaning is a service that is highly recommended. The average person spends approximately 1/3rd of their lives in their bed. Throughout the evening, you sweat about ½ a liter of sweat a night and shed up to a gram of skin a day, some of which will transfer onto your bed. Add the daily dust and debris that settles onto your bed’s surface and you are looking at a bed filled with dirt, dead skin, sweat, dust as well as dust mites, germs and bacteria. With the natural breeding ground on mattresses, people with allergies, asthma, Eczema, and Bronchitis can find their health related problems are worsened when the mattress cleaning is neglected. Your home’s mattress should get regular maintenance; every 1-2 week sheets cleaning, monthly vacuum the mattress and box spring and get an annual deep mattress cleaning from Leading Carpet Cleaning. A deep professional mattress cleaning by our skilled and experienced specialists is extremely beneficial, listed below are the advantages to a professional mattress cleaning. 1. Improve the indoor air quality. There are countless organizations realizing the benefits of improving the indoor air in your Orange County home. In an in depth study, the indoor air quality is up to 3 times worse than outside. With contributing efforts, having your mattress cleaned by Leading Carpet Cleaning can help improve the indoor air quality in your home. 2. Removes bacteria and germs. Bacteria and germs are invisible intruders that are lurking everywhere. Even the most diligent sanitizer forgets about the bed, and cleaning the sheets once every week or two can’t eliminate them all. A meticulously detailed mattress cleaning is delivered by Leading Carpet Cleaning professionals to remove the buildup of contaminates. 3. Minimizes pest infestations. Bed bugs, dust mites, and other critters that are attracted to your bed while you slumber are more than what you may prefer to be ignorant to. Dust mites are microscopic and feed on your shed skin, but they can also trigger allergies. 4. Eliminates odors. Sweat, among other things, is not necessarily a pleasant odor. Throw in cigarette smoke, or pet odors and you have a recipe for pungent smells. With Leading Carpet Cleaning performing a mattress cleaning, odors are eliminated, leaving behind a fresh scent. 5. Increase the lifespan. When anything is well taken care of and maintained, the lifespan is increased, included in that is a deep mattress clean from Leading Carpet Cleaning that can help extend the longevity. Mattress Cleaning, Stain & Odor Removal in Orange, Santa Ana, Rancho Cucamonga, Anaheim, Whittier, Riverside, Chino & Fullerton California. When your Greater Orange County, California home’s mattresses are in need of a professional cleaning, contact the leading experts of Leading Carpet Cleaning. Our affordable and detailed mattress cleaning is well worth the investment. Call us today to get started!